The march “Rolling Thunder” was written in 1916 and dedicated to a trombone player named Ed Hicker, also known as the “Trombone Ace”. It subsequently became a circus band standard, played whenever a number got particularly exciting. Today it is often performed as an opener and an encore piece in concerts. This screamer features a fast and extremely technical trombone part. 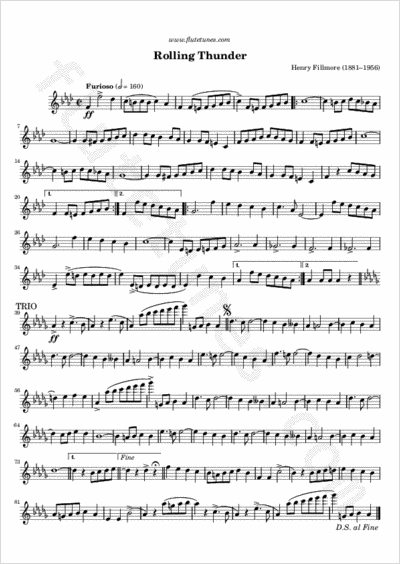 Its fast and furious tempo makes it very enjoyable to listen to, although it may scare beginner players. Our tip is always the same: do not even try to play it at performance tempo right away!